When it comes to choosing a dentist, accept nothing but the best. At Tharp & Klaus Dental Clinic, Dr. Greggory Tharp and Dr. Keith Klaus have the training, expertise, and chairside manner to make your treatment excellent. They offer a variety of dental procedures, including Cosmetic Dentistry, Restorative Dentistry, and Family Dentistry.  If you’re looking for advanced dental care in or near Jackson, MS, let Drs. Tharp and Klaus revitalize your smile. At Tharp & Klaus Dental Clinic, our team can complete an array of dental procedures—from routine cleanings to more complicated treatments like dental implants. Both of our dentists, Dr. Tharp & Dr. Klaus, believe that continuing education is the way to produce more successful procedures with remarkable results. For this reason, they’ve completed countless hours of certified courses beyond dental school. These courses pertained to extensive dental reconstruction, cosmetic dentistry, general dentistry, and family dentistry. When you visit our Jackson practice, you’ll quickly realize that excellence isn’t just something we strive for—it’s a product that we sell every day to all of our customers. Beyond the precision and aesthetics of our completed procedures, we offer advanced dental technology and incredibly friendly and knowledgeable staff. One thing our patients cherish about our team is that we’re transparent. You won’t find any surprises here: we’ll walk you through your dental treatment plan, discuss your goals for the procedure, and recommend the ideal solution that will help you reach those goals—furthermore, Drs. Tharp and Klaus will explain each step in terms that anyone can understand as they progress through the treatment. Moreover, our entire staff is experts at what they do. They will make you feel welcome, help you understand your treatment plan, and work with your insurance company to ensure we’re maximizing your insurance benefits. Dental implants are stunning prosthetics that we can use to replace teeth with damage, decay, or that are missing.  Implants are a combination of titanium and porcelain, which makes them a durable, long-term solution that looks and feels like your natural teeth. Most of our patients experience some degree of damage or decay to their teeth. We have treatments that suit mild, moderate, and severe cases so that everyone can live with a beautifully restored smile. At Tharp & Klaus Dental Clinic, we utilize CEREC technology to produce professional-grade restorations without having to go through a dental laboratory—which can reduce treatment times by multiple weeks. Experience the advantages of our stunning dental crowns in a single office visit. Some of our patients require multiple different treatments to restore their smiles. 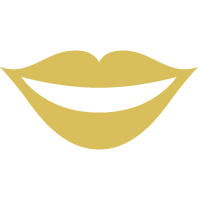 For their convenience, our Jackson, MS dentists can create a comprehensive treatment plan called a Smile Design. They’ll combine restorative and cosmetic procedures to produce your dream smile. 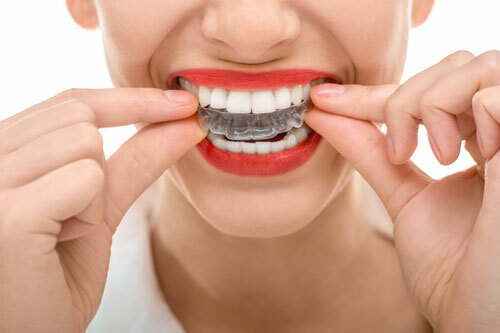 Invisalign is a remarkable way to straighten your smile without the hassle of metal brackets and wires. It’s also a quicker treatment, often truing your smile twice as fast as traditional braces. The Invisalign system allows you to see what your smile will look like before you begin treatment so that we can make alterations if needed. When stains won’t go away with brushing, Drs. Tharp and Klaus recommend professional teeth whitening treatment. 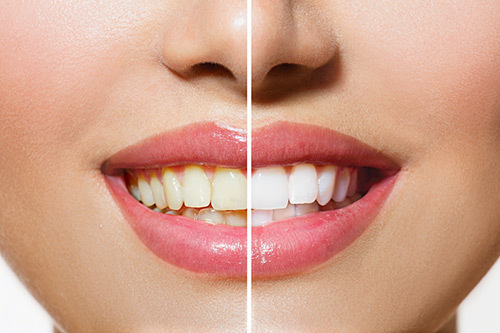 We can complete this procedure in a single office visit, creating a smile that’s three to five shades brighter.  If your tooth is damaged by decay or disease and you leave it untreated, you could lose the tooth. A dental filling can help repair and protect the tooth so that you can avoid tooth loss. For damage that’s extensive, our Jackson dentists may suggest using root canal therapy to remedy your smile. One of the benefits of root canal therapy is that you’ll walk out of our office with a beautiful crown the same day as your visit, thanks to our CEREC technology. Preventing dental diseases is the easiest way to avoid them. 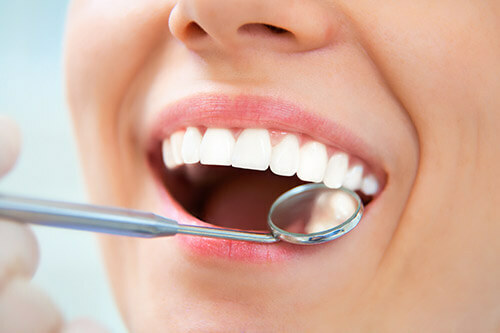 Routine dental visits are crucial because they allow our dentists to clean and examine your smile. The more we can monitor your oral health, the better we can help you avoid dental issues in the future. A general dentist keeps your natural teeth clean and healthy. A prosthodontist specializes in the restoration of lost or damaged teeth. They work closely with crowns, bridges, implants, and more. As a prosthodontist, Dr. Tharp will ensure that your smile looks as natural as possible after treatment. Prosthodontists can also treat TMJ disorders by using dental devices and techniques to restore your jaw and teeth to their proper alignment. Becoming a prosthodontist requires extensive training. Typically, dentists will complete a three-year training program after they graduate from dental school. This specialized training gives them hands-on experience performing oral restorations, dental implant placement, and unique surgical care. A prosthodontist can be trusted to rehabilitate your oral health and restore its natural aesthetics. To create a comprehensive dental experience, Drs. 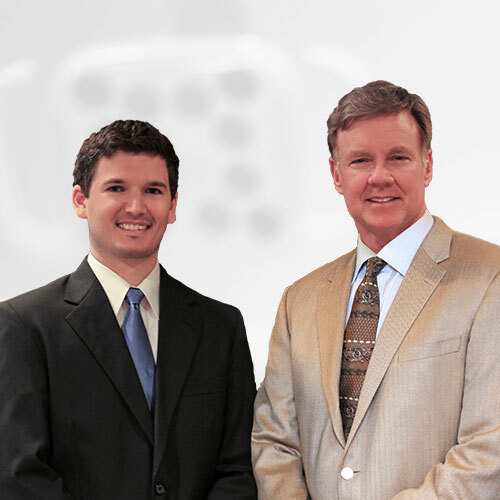 Tharp and Klaus specialize in different areas of dental care. Together, they can craft your perfect smile with treatments ranging from restorative and cosmetic to endodontics and orthodontics. We firmly believe that patients shouldn’t have to visit multiple locations for their dental care—that’s why we offer every aspect of dentistry under one roof in Jackson, MS.
Dr. Greggory Tharp received his Doctorate in Dental Medicine degree from the University of Mississippi School of Dentistry. From there, he continued his education at the Medical College of Georgia to specialize in Prosthodontics and Maxillofacial Prosthetics. Since then, he’s been exalted within many renowned dental organizations including the Misch International Implant Institute, American Board of Prosthodontics, International Congress of Oral Implantologists, and American College of Prosthodontists. Beyond working with those organizations, he gives back to the field of dentistry by conducting speaking engagements and lectures on oral health concerns and aesthetics. Like his predecessor, Dr. Keith Klaus also earned his Doctorate of Dental Medicine from the University of Mississippi School of Dentistry. During his time there, he researched implant osseointegration—the natural bonding process between implant and bone. He has a background as a research engineer for a national laboratory with the U.S. Army Corps of Engineers. Furthermore, Dr. Klaus has been recognized by various dental organizations and attended continuing education courses in endodontics, prosthodontics, orthodontics, and implant restorations.